Pre-Order now while it's on the cheap! 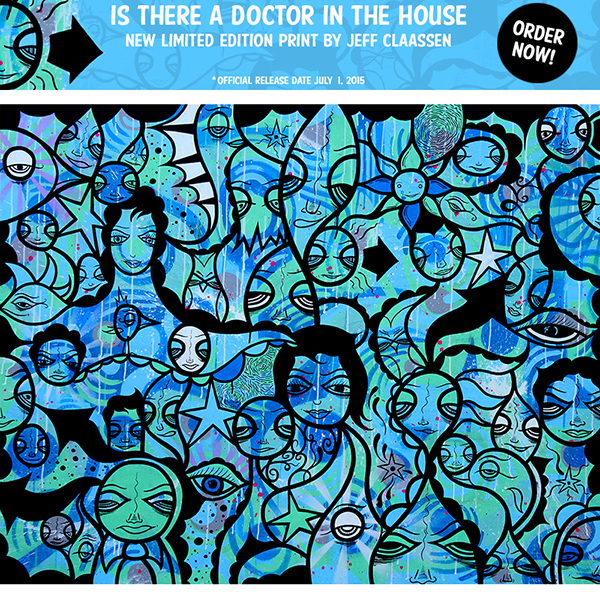 My newest limited edition print is now available to pre-order! I will try my best to keep this short and sweet. The BIG news is that I am releasing a new print of my most ambitious painting of 2014. It was a private commission for Dr. Randy. The original was 48" x 60" and I worked on it off and on for about 9 months. I'm super stoked to offer it as a print now. I'll be making it in two sizes, 5" x 7" and 8" x 10". Please take a look at the Pre-Order page for all the details, including the backstory of making the original painting. If you're interested in purchasing one of these it's not too late to get in early and snag one of the lower numbers in the edition. I know some people like lower numbers, so here ya go! In other news the leggings in my Society 6 shop seem to be getting some attention and I am now up to 4 designs to choose from. Not sure if all that qualifies as "short and sweet", but I tried. Thanks for looking! And thank you all for your continued support!